GS1 Webinar – Barcodes: The Passport for Your Products - Digitl. In this webinar we spoke to Lorna Beament, an Industry Engagement Manager at GS1. Lorna joined the team in December 2016 with tons of marketplace experience from Mothercare, Early Learning Centre, Boohoo.com and Dune London. Her role at GS1 is to engage with stakeholders that sit within the marketplace landscape and discover ways to tackle their issues and enable friction free trading. To view our other webinars, click here. GS1 is an international, non-profit association that develops global standards aimed at improving supply chain visibility and efficiency. The organisation was first launched in 1974 and it is now the most widely used supply chain standards system in the world. They have around 112 offices across 150 countries and serve more than 2 million companies spanning across 25 sectors. A barcode is a visual representation of the number that sits underneath it, which is called the Global Trade Identity Number (GTIN). Over time barcodes are becoming more digital and we are beginning to need them as a way of identifying products in the same way that they are required in the retail supply chain. 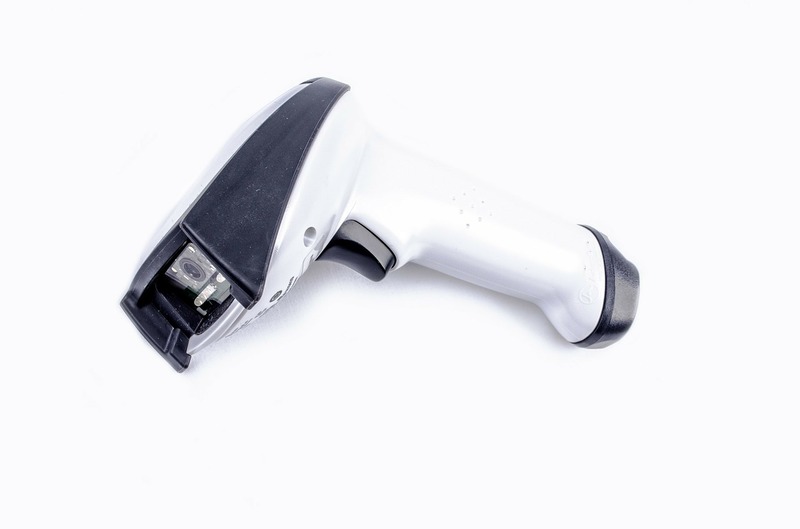 As such, marketplaces and search engines are increasingly requesting GTINs and Amazon verify all barcodes against the GS1 database when new products are added. A company prefix – this is your GS1 company ID for creating barcodes and other product identifiers. The length of the prefix depends on how many numbers are required. A country prefix – the United Kingdom is 500 to 509. A product code – this uniquely identifies a product type. It tends to be 3 digits long. A check digit – this is used to make sure that the GTIN is correctly compositioned. It can be worked out manually by using the moldulo-10 algorithm. WHERE can I get a barcode from? To sell your product, more often than not you are going to need a barcode. A quick Google search is enough to show you that there are plenty of places you can achieve this, starting from as little as £1. With so much market competition, why should you choose GS1? First and foremost, the uniqueness of all GS1 barcodes is guaranteed as each product is assigned its own 12-digit GTIN. Consequently, this means that once a product is barcoded it can be sold via any retailer in any country without the need to re-label it according to the countries requirements. Likewise, having a unique GTIN identifier helps to establish the digital value of products. To verify this, you’ll receive an official GS1 certificate, which will give you peace of mind that your barcodes are exclusively yours. The cost of a GS1 barcode depends on your businesses annual turnover. Whilst GS1 are looking to make their services more accessible for smaller businesses, they are a not-for-profit organisation. The lowest membership fee is applicable to business whose annual turnover is up to £0.50million. In this case their annual licence fee is £119 which allows you to create up to 1000 barcode numbers. This works out as little as 0.12p per barcode. At the other end of the spectrum, businesses with a turnover in excess of £1 billion are required to pay an annual licence fee of £3,200 which allows them to create up to 100,000 barcode numbers. This works out at approximately £0.03p per barcode. Technically, there is no requirement that products must have barcodes unless you’re selling at the wholesale level or you sell to large retailers. Therefore, you’re probably wondering – do I really need one or is it just an additional cost to my business? Well, there are many needs and uses of barcodes so it’s worth weighing up all the benefits. Firstly, barcodes help marketplaces to manage their catalogues – it lets the retailers know which products are yours. Automating the inventory process saves time and reduces the risk of human error as no workers are required to take a physical inventory. Having the wrong information in your supply chain can be catastrophic for your business, so barcodes take some of the risk out of this process. Similarly, by having a unique GS1 GTIM marketplaces are in a better position to remove listings that are duplicated, counterfeit or have low or no GMV. Piracy and counterfeiting are becoming more and more common so its important to aid its prevention in any way possible. Secondly, and following on from that, using barcodes improves customer experience. By removing all of these spammy listings on marketplaces, it’s much easier and quicker to find what you’re looking for. The noise on crowded marketplaces is completely reduced. A good example of this is phone listings. As I’m sure many of you know, if you do a search on eBay for ‘iPhone’ you will be inundated with cases, screen protectors, headphones etc. and rarely an actual iPhone, which is the product we’re looking for. Barcodes will therefore allow searches to become more relevant as phone accessories can be filtered out of these search results. This results in a greater sense of trust, longer visits and ultimately, more sales. 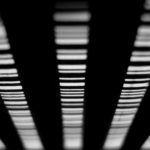 HOW do you create a barcode? GTIN – the products unique global identifier from GS1. Name – The average length of a product name is 47 characters, which is approximately 8 words. This differs slightly from eBay, who allow 80 characters, and Amazon, who allow 200 characters. It’s important to ensure that the correct keywords are mentioned so it gets shown under the right search results. The format we usually recommend is ‘brand + features + product type + details’. Brand – this is usually the main way in which people identify the product that they are looking for. Description – this is the long description for your product, it is a marketing message intended for customers. Web Link – a URL link to your product. MPN – letters and numbers given to a part by a manufacturer to help identify who a specific part is made by. SKU – internal numbering system used to keep track of different Stock Keeping Units. WHEN do you need a new GTIN? For example – the recently introduced sugar tax saw a lot of manufacturers removing sugar from their products. These new products would require a new GTIN to let the customer know that the product is different as the sugar has been removed. Minor artwork changes don’t require a new GTIN but if youre creating a new design for a limited amount of time you may need a new GTIN so when the supply chain is over you can remove it from the chain immediately. For example – a change of more than 20% to the physical dimension of the product will require a new GTIN as the warehouses that store the products and shops that sell the product will need to know. To learn more about barcodes, you can watch our GS1 webinar here.